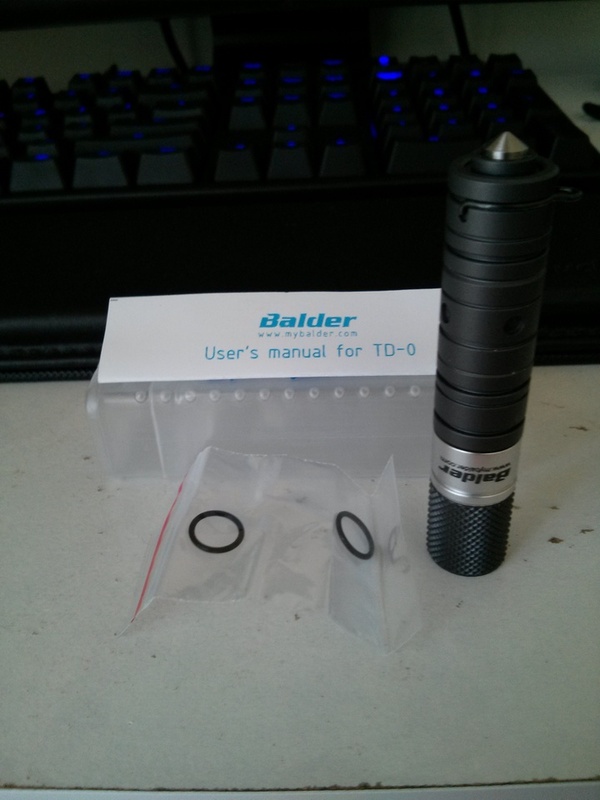 The Balder TD-0 comes in a small plastic pull apart box, in the box along with the flashlight itself is a user manual and 2 o-rings. It would've been nicer to see a proper box to make this more suitable for gifting. I'd gift it anyway, just because of how nice the torch is. At the rear of the TD-0 we have a Titanium glass breaker, I have yet to test it on anything but this would be a good thing to have if you are ever trapped in a car. There is also a spot to attach a lanyard or key chain, it seems to be removable with some force if you don't like it there. Pricing is a little expensive, but I think it is worth every cent for this specimen. 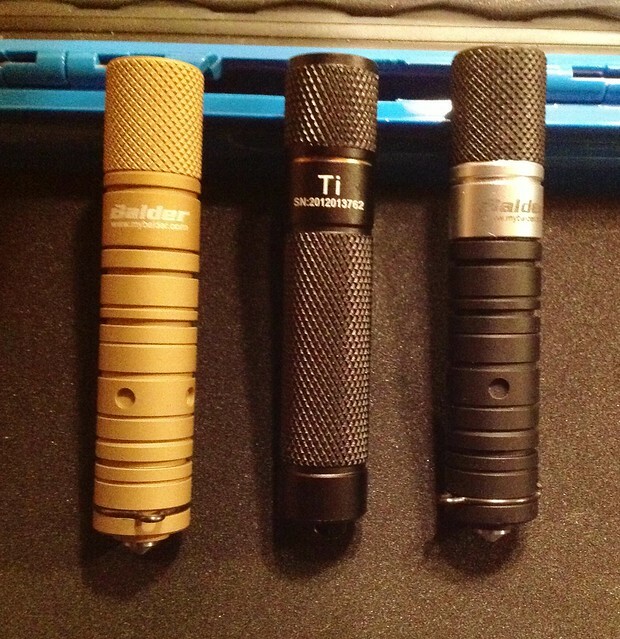 Here we have a shot of the SolarForce X2, Balder TD-0, SolarForce X3 and Nitecore T2s from left to right. You can see that the Balder TD-0 is a little thicker than the other AAA flashlights, this is due to a different design for the twist switch. It is still significantly thinner than a AA flashlight. The TD-0 has the head screw over the body unlike other AAA twisty lights which have the head screw into the body. 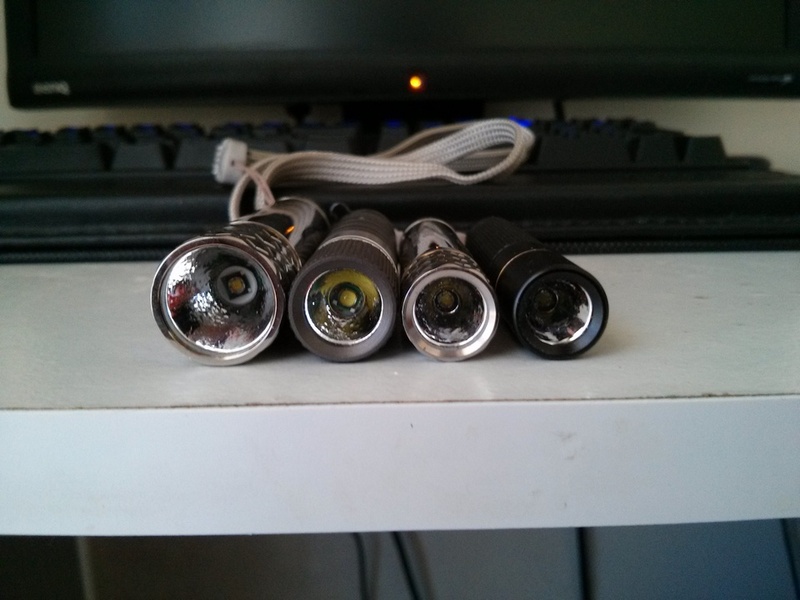 This is what makes the TD-0 slightly thicker than other lights. This design has allowed Balder to anodize the thread of the body and only leave electrical contact at the top of the body. This prevents the TD-0 from switch on unless the head is screwed all the way down onto the body. Balder has also used a spring at the end of the body for the battery. This method of design works very well, the flashlight has a defined on/off position. It also helps that the threads are very well greased so it is smooooth. I like the design on the body of the torch, its quite stylish and doesn't get in the way of using the flashlight. The Balder TD-0 has a 2 part head, this seems to be very rare in AAA flashlights. This allows for easier modding. Everything seems to very clean in the TD-0. If you get this torch, make sure to tighten this part of the light, otherwise you may end up loosening it when turning the light on. 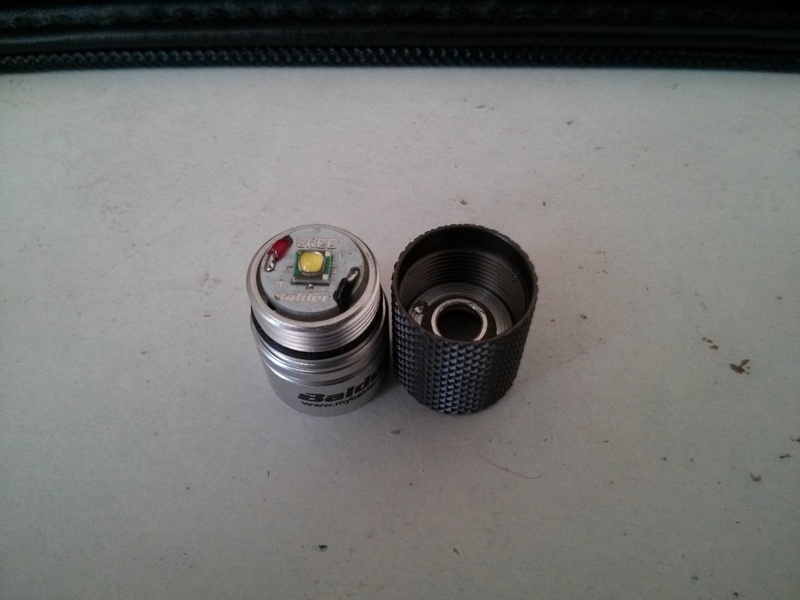 I use the upper part of the head to turn on/off the light because there is no knurling on the pill/lower head. Everything looks like its aluminium apart from the titanium glass breaker and lanyard ring. There are 2 o-rings in total, around both the openings. It has a high brightness for when you need it and a 1 lumen low for a very long battery life. 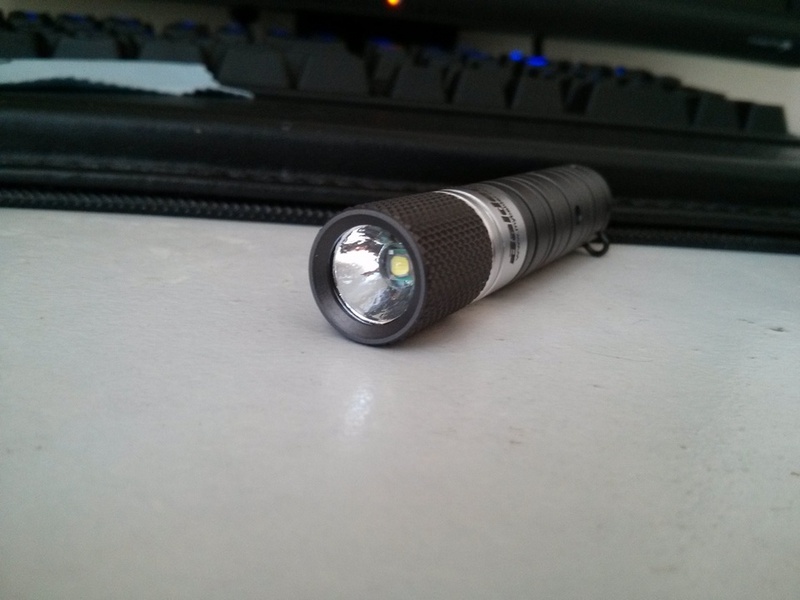 A flashlight that is a little pricey for being so small, but does a very good job at what its made for. Superb build quality and very smooth operation of the twisty switch. The TD-0 feels good in your hand, the slightly bigger size and weight isn't a deal breaker at all. It makes a great EDC if you need something small, with a range of colours to choose from you can get the one you like. This is my current EDC, it has beaten the SolarForce X3 and Nitecore T2s to gain its position. Highly recommended buy. Thank you for reading. Managed to measure the amps drawn on all the modes by sticking the DMM’s tip beside the battery to the negative contact. Nice review, I really must get a balder or two. They do seem real good quality lights. Thanks. 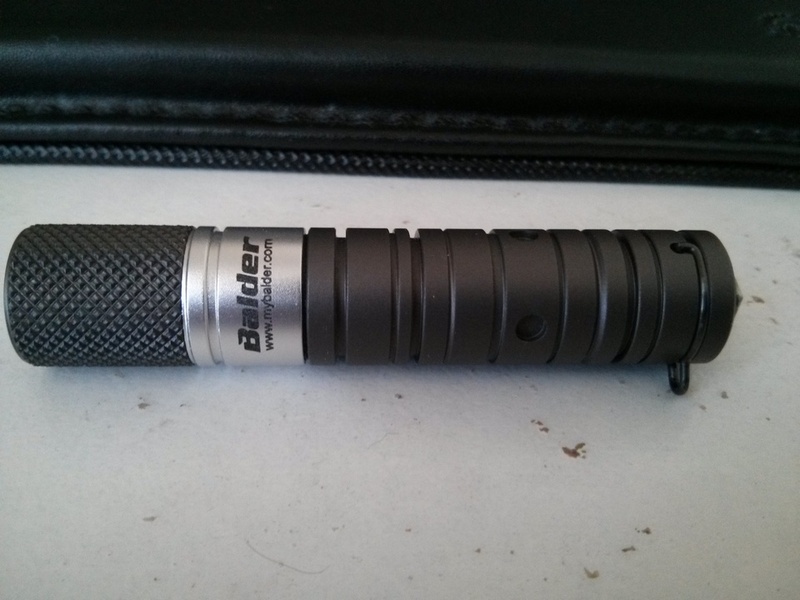 This is my first Balder flashlight, I’m going to have to buy more because if the TD-0 is their standard of quality I wouldn’t mind spending the extra cash. It’s ugly, and high mode first doesn’t make a lot of sense to me. However it does have a lot going for it, especially if the glass-breaker works. Thanks for the review of an intriguing light. Can you attest to the high mode being 140L? A very nice little light. 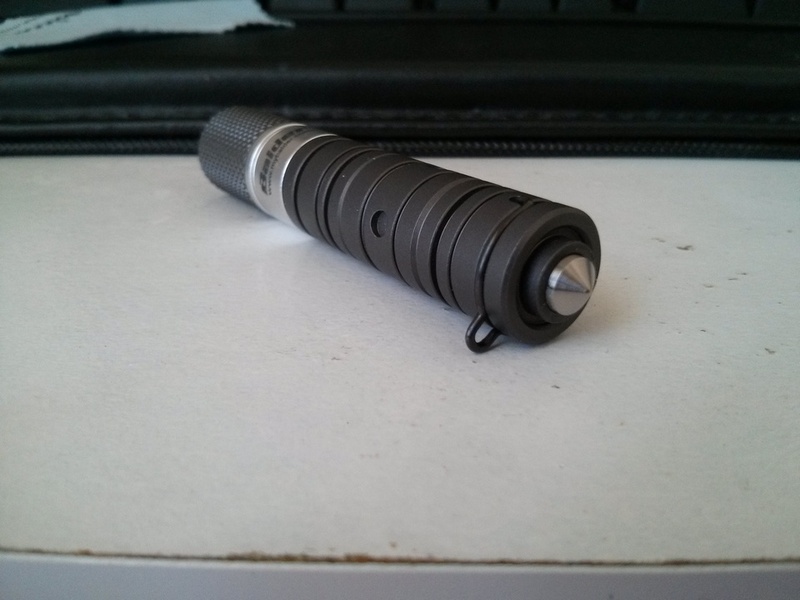 The TD-0 is a very nicely crafted AAA flashlight. 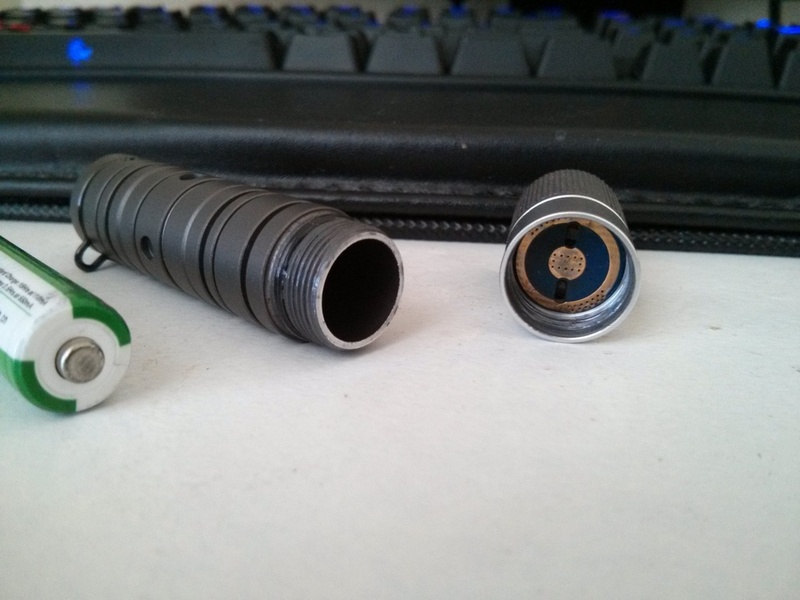 The machining is excellent, especially the threads, which are silky smooth as compared to the Ti. The Tan anodized TD-0 is one of the most ‘sticky’ textured lights I have yet to hold. This thing will never slip out of your hand. It has a rough, grippy feel to it as compared to the black. TD-0 is very bright on 10440. I’ve been trying to compare it with the Ti on 10440 but I cannot conclusively say which one is brighter. At first glance, I would say the Ti, but I think it may only be perceptually brighter since the Ti is an XP-E and has a tighter hotspot as compared to the BD-0 XP-G. I cannot conclusively say, because the more I stare I just end up with a lot of bright spots in my eyes. When I ordered, I didn’t have any 10440, so I also ordered a couple of cheap Ultrafire blue unprotected. Both batteries fit in the black one, but won’t fit in the tan one. I now have an IMR and an AW ICR, and both fit into the tan one. I actually like the fact that it starts on high. As an EDC, I pull it out when I need to shine light in a dark place, and high is what I want. Another standout feature of the BD-0 is the wire ring for lanyard or keychain attachment. The way it clips right into the body of the flashlight was well thought out. A real standout. Very classy looking. The TD-0 on AAA might be 140 lumen OTF, but the beam is very floody due to short reflector so it is more like 100 lumen. I forgot to mention that the TD-0 doesn’t heat up fast like the Ti does. It seems very comfortable with 10440. It puts out enough light that you could easily walk around in a forest with it.